I love lotion! Especially good lotions. 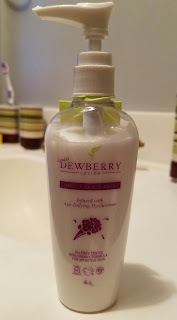 Recently I tried Linda's Dewberry Lotion and it has quickly become one of my favorites. 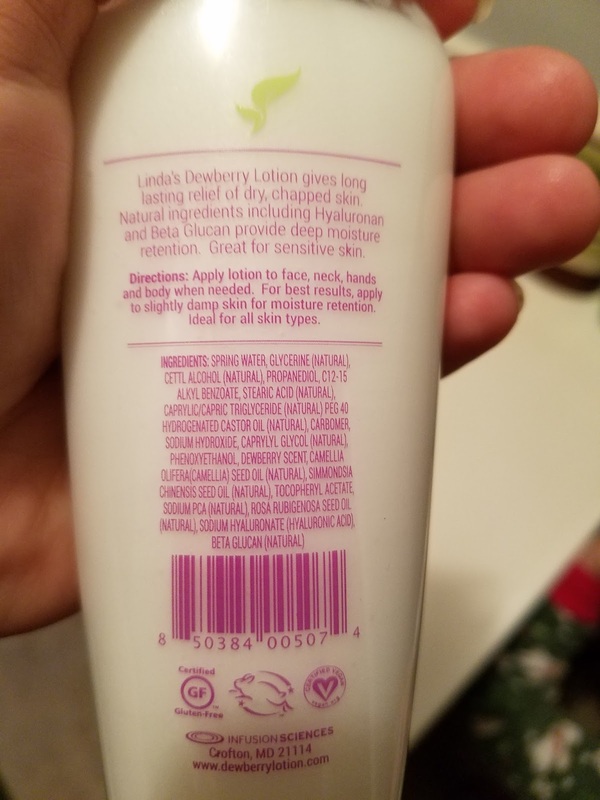 It is a thicker lotion than most. I personally am a fan of the thicker lotions. It is also100% gluten free, with a combination of 3 different plant based oils, antioxidants, vitamins and minerals. Linda's Dewberry Lotion contains Beta Glucan which helps reduce the depth of wrinkles, and I don't have to tell most women out there, how nice this is to have in a lotion that you can use every day. Just a few more of the top ingredients are Castor oil, which heals inflammation, fights off wrinkles and reduces acne. Caprylic Acid, reduces the risk of breakouts. Rose oil, reduces wrinkles and moisturizes and hydrates. Also contains Jojoba oil which promotes healthy and clear skin. I bet this would smell wonderful. Would love to have this.